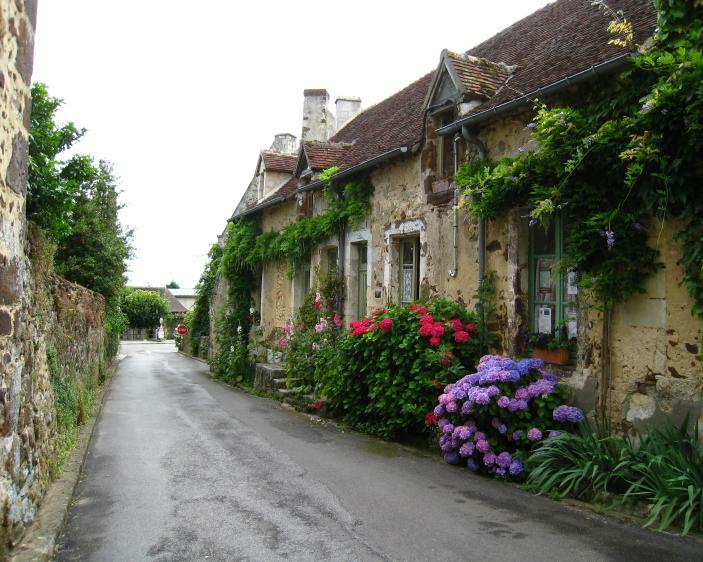 On the Pentecost holiday weekend Sunday and Monday of 27-28 May 2012 about 90 artists will be displaying their works in the streets and alleyways, village square, houses and gardens of la Perrière – everywhere available, in fact! This is the 16th annual arts market at la Perrière – contemporary modern art is to the fore in all its forms, be it bronze or clay sculpture, on canvas, paper et al. Perched on a spur of granite this little village with its old narrow streets has charm without end. Apart from the artists’ fair there is a very nice bar, a restaurant (le Relais d’Horbé) a brocante (antique shop). The picture-box houses date from the sixteenth and seventeenth centuries. Make sure you take a walk around the church, behind which are fantastic views of the valley.